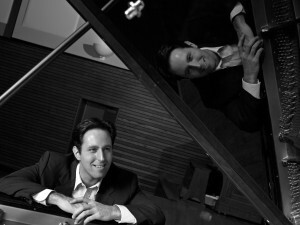 Gold Medalist of the 2008 New Orleans International Piano Competition, SPENCER MYER is garnering stellar audience and critical acclaim from around the globe, rapidly establishing himself as one of the most outstanding pianists of his generation. Following a summer that included his debut with Guadalajara’s Orquesta Filarmónica de Jalisco, an encore collaboration with the Miami String Quartet at Ohio’s Kent/Blossom Music and returns to the Mendocino Music Festival and the Quad Cities and Cape Cod Chamber Music Festivals, Spencer Myer includes in his current season his fifth return tour of South Africa, debuts with Boston’s Pro Arte Chamber Orchestra and the Acadiana, Springfield and Juneau Symphony Orchestras, returns to the Wyoming and Bozeman Symphony Orchestras and his solo recital debut at London’s Wigmore Hall, in addition to solo recitals throughout the United States. Spencer Myer’s orchestral, recital and chamber music performances have been heard throughout North America, Europe, Africa and Asia. He has been soloist with The Cleveland Orchestra, Louisiana and Dayton Philharmonic Orchestras, the Indianapolis, Knoxville, New Haven, Phoenix, Richmond (IN), Santa Fe and Tucson Symphony Orchestras, and Beijing’s China National Symphony Orchestra, collaborating with, among others, conductors Nicholas Cleobury, Neal Gittleman, Jacques Lacombe, Jahja Ling, Maurice Peress, Matthew Savery, Klauspeter Seibel, Arjan Tien and Victor Yampolsky. In May 2005, his recital/orchestral tour of South Africa included a performance of the five piano concerti of Beethoven with the Chamber Orchestra of South Africa. Mr. Myer made his debut at the famed festival of the Blossom Music Center during the summer of 2007. Spencer Myer’s recital appearances have been presented in New York City’s Weill Recital Hall, 92nd Street Y and Steinway Hall, Philadelphia’s Kimmel Center and London’s Wigmore Hall, while many of his performances have been broadcast on WQXR (New York City), WHYY (Philadelphia), WCLV (Cleveland) and WFMT (Chicago). An avid chamber musician, he has collaborated with the Blair, Miami, Jupiter and Pacifica string quartets. In January 2007, Mr. Myer performed Gershwin’s Rhapsody in Blue at the Inaugural Festivities of Ohio’s Governor Ted Strickland and Lieutenant Governor Lee Fisher. In 2004, Spencer Myer captured First Prize in the 10th UNISA International Piano Competition in Pretoria, South Africa, as well as special prizes for the best performances of Bach, the commissioned work, the semifinal round recital and both concerto prizes in the final round. He is also a laureate in the 2007 William Kapell, 2005 Cleveland, 2005 Busoni (where he was also awarded the Audience Prize) and 2004 Montréal International Piano Competitions. Winner of the 2006 Christel DeHaan Classical Fellowship from the American Pianists Association, Mr. Myer also received both of the competition’s special prizes in Chamber Music and Lieder Accompanying. He is also the winner of the 2000 Marilyn Horne Foundation Competition, and subsequently enjoys a growing reputation as a vocal collaborator. Mr. Myer was a member of Astral Artists’ performance roster from 2003-2010, after winning that organization’s 2003 national auditions. Spencer Myer is a graduate of The Juilliard School, where he studied with Julian Martin. Other teachers include Peter Takács, Joseph Schwartz and Christina Dahl. During the course of his undergraduate studies at the Oberlin Conservatory of Music, he was the recipient of numerous awards from that institution, while, in 2000, he was named a recipient of a four-year Jacob K. Javits Memorial Fellowship from the United States Department of Education. He has served on the faculties of the Oberlin and Baldwin-Wallace College Conservatories of Music as Visiting Professor of Piano. His Doctor of Musical Arts degree was conferred by Stony Brook University in 2005. Spencer Myer can be heard on the Dimension Records label, performing music of the late Cleveland composer Frederick Koch and on a composer-conducted Naxos CD in performances of three concerti from Huang Ruo’s Chamber Concerto Cycle. His debut CD for harmonia mundi usa – music of Busoni, Copland, Debussy and Kohs – was released in the fall of 2007.